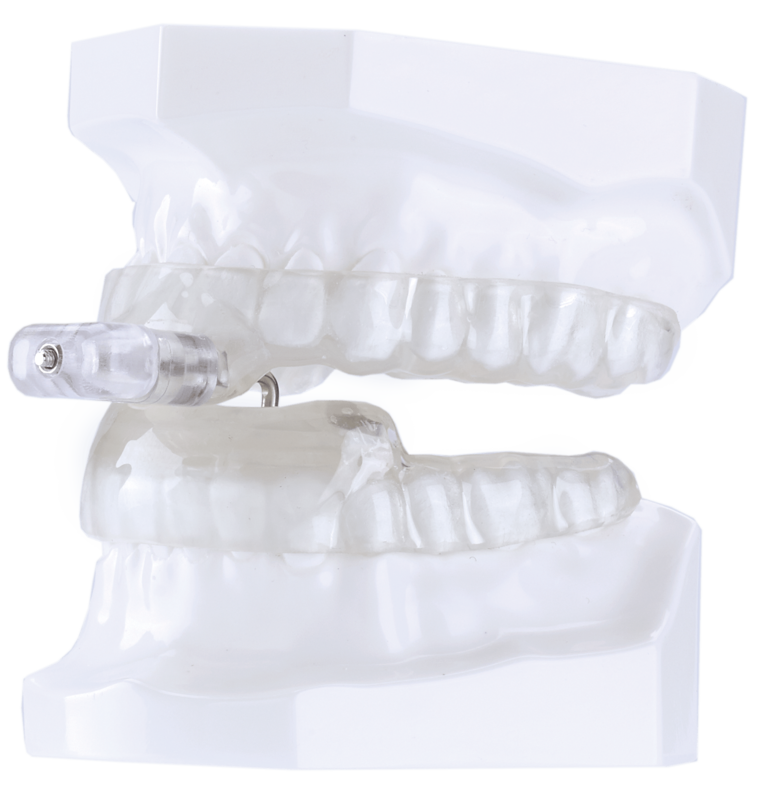 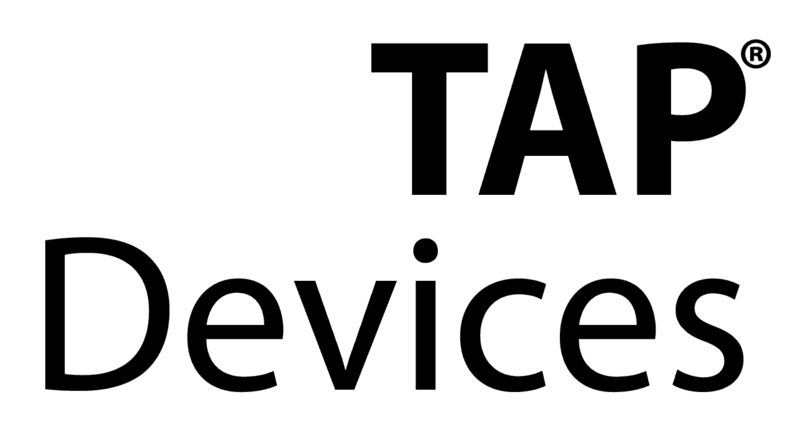 The two piece Tap® (Thorton Adjustable Position) devices are fully adjustable on a horizontal plane, providing dentists the ability to locate the ideal mandibular position for their patient. 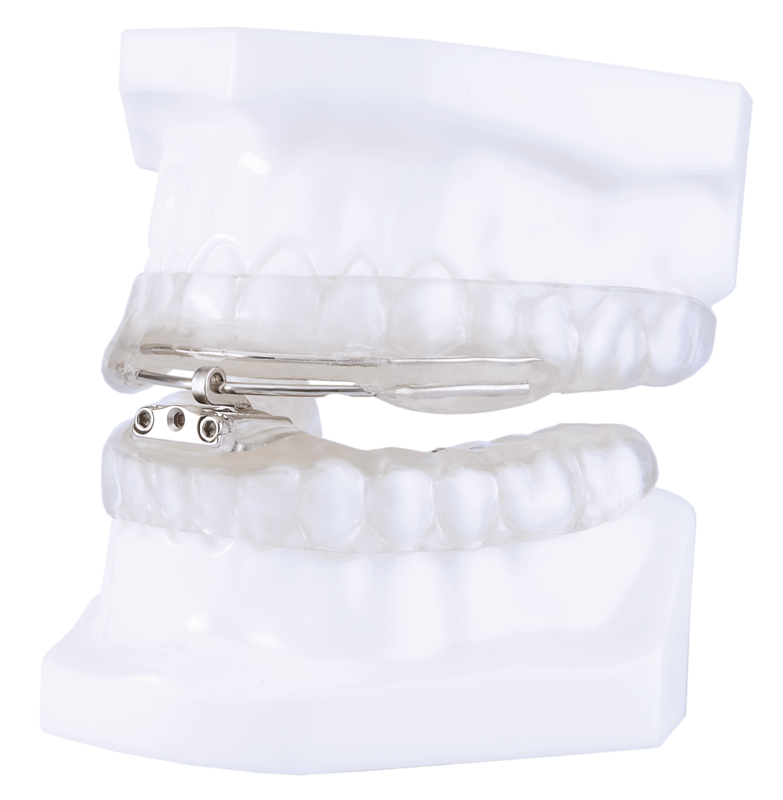 This custom appliance is fabricated with separate upper and lower trays. 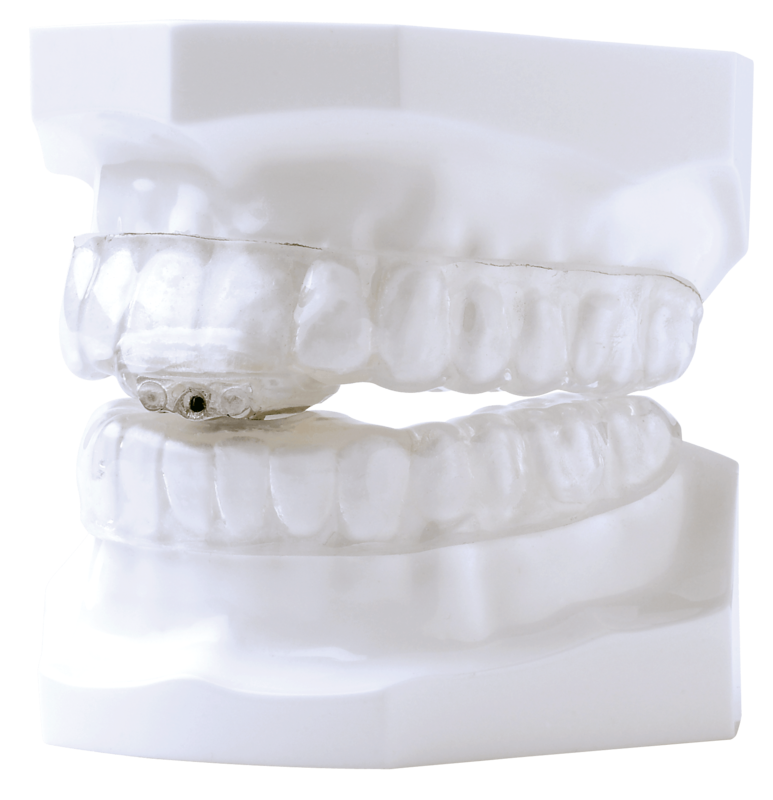 The maxillary component utilizes an adjustable screw and hook which interfaces with a lower socket or lower lingual bar to hold the mandible in the desired position.